Fortis La Femme, Delhi’s specialized hospital for women & newborns in collaboration with the Breast Milk Foundation (BMF), a non-profit organization within the GNS Foundation, has launched the first Pasteurized Human Milk Bank, ‘Amaara’ in Delhi-NCR today. This non-profit centre recognizes that breast milk is the best nutritional food source for infants and should be available to babies deprived of their mother’s milk. This initiative is in line with the World Health Organizations (WHO) Millennium Development Goals to reduce the Infant Mortality rate. The WHO and the United Nations Children's Fund (UNICEF) recommend that the best feed for a baby who cannot be breastfed, is milk expressed from their own mother or from another healthy mother. Dr. Ankit Srivastava, Director, BMF, said, “Both BMF and Fortis La Femme have come together in this remarkable peerless initiative to lend a hand to those high risk newborns who are unable to receive the nurturing care a mother provides. It hopes to protect these preterm babies from any further harm and suffering that formula milk poses to their delicate condition. The sole purpose of this initiative is to facilitate high quality care to the early newborns along with its noble vision to grant charity with the assistance of GNS Foundation”. Although, globally, human milk banking is a common practice, in India, the progress has been slow and only 14 such banks exist, as per the Indian Academy of Paediatrics. Key reasons for this are lack of awareness among the public and promotion of formula milk. At the ‘Amaara’ Milk Bank at Fortis La Femme, milk once donated will be tested, pasteurized and frozen (for a period of six months) and made available to needy newborns. It is a public milk bank and, therefore, accessible to all mothers who need it. 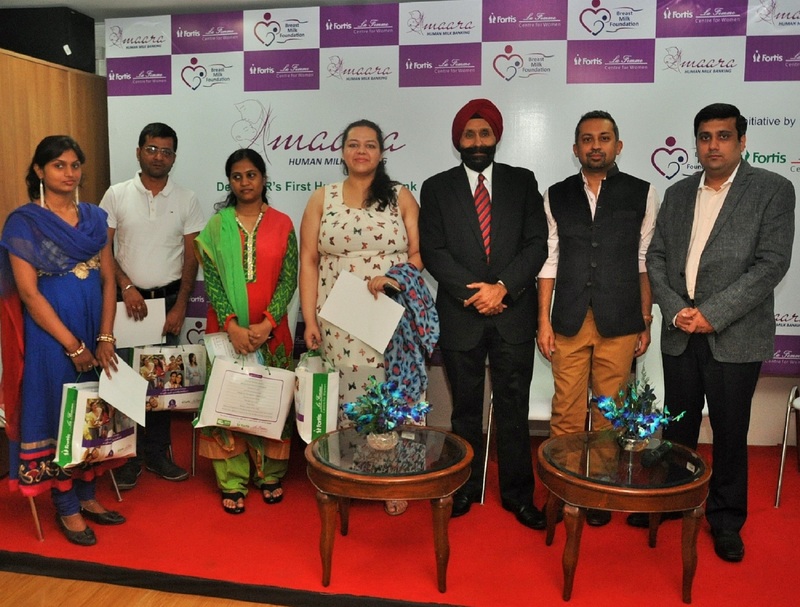 The Breast Milk Foundation in collaboration with Fortis La Femme’s Neonatal Intensive Care Unit also endeavours to spread awareness on the concept of Human Milk Banking through educational programs amongst potential donors as well as receivers. India has the highest number of low birth weight babies and Neo-natal Mortality Rate (NMR), stands at 28 per 1,000 live births as recorded in 2013. India also has one of the highest infant mortality rates amongst its neighbours (Sri Lanka 12 per 1000, China 31 per 1000, Nepal 31 per 1000) which is 40 per 1000 live births according to the Annual Report, Ministry of Health and Family Welfare, GOI. Feeding these babies with donor breast milk through human milk banks can have significant impact on reducing neo-natal mortality, one of the key goals of the National Health Mission, Government of India. Breastmilk Foundation is a non-profit organization, within GNS Foundation set upin the memory of Late Dr. GovindNarain Srivastava, who endeavoured to bring major changes in the field of healthcare and education. ‘Amaara’,being the sole human milk bank in Delhi NCR region, will focus to provide donor milk to high risk newborns admitted in the neo-natal units and to babies whose mothers face lactation failure. BMFhas come forward to address the issue in Delhi/NCR in an effort to save lives of vulnerable newborns. Fortis La Femme (Centre for Women), a unique facility, is inspired by the core belief that a woman is a very special person with special needs. 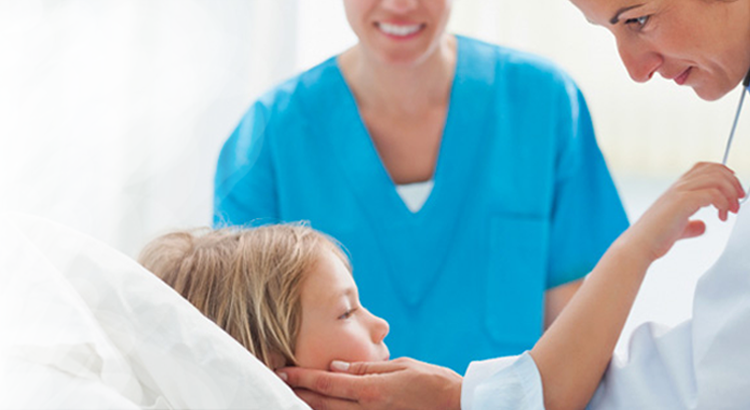 Medical care at the hospital includes Obstetrics (Painless Labour), Gynaecology, Neonatology (Level III NICU), Anaesthesia, General & Laparoscopic Surgery, Cosmetic Surgeries and Genetic &Foetal Medicine. The hospital facilitates care for the entire stages of woman’s lifespan—birth, adolescence, motherhood, menopause and beyond. Its patient-sensitive services are provided in a world-class facility with a discreetly elegant ambience laden with value-added conveniences. In the year 2010, the hospital got NABH accreditation, and was successfully re-accredited in 2013. It was adjudged winner of Most Popular Maternity Hospital award by Child Magazine in 2013. Fortis La Femme was also ranked No. 5 in Top Gynaecological Hospitals in India (No. 1 Private Gynaecological Hospital in North India) in Nielsen Survey 2015 conducted by THE WEEK magazine.